The Exeter College Middle Common Room (MCR), also known as the William Petre Society, is the graduate student association at the College. 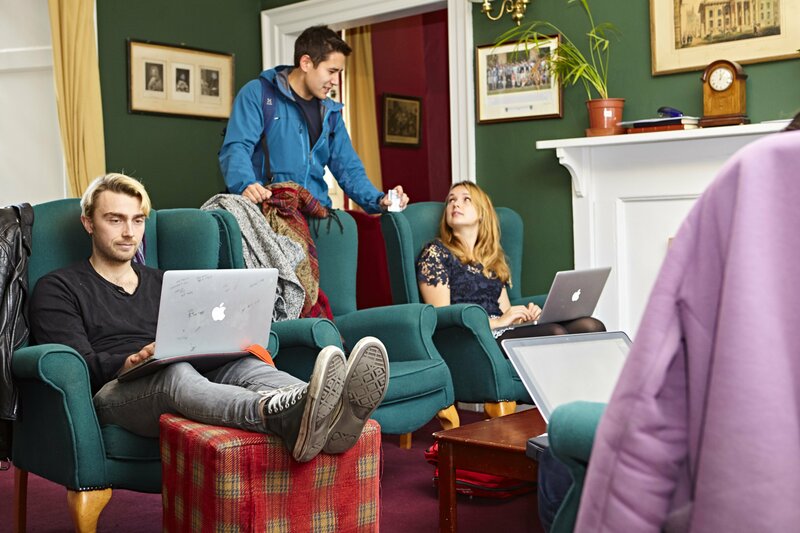 The Common Room itself is located in Staircase 8 overlooking Exeter’s front quad, and provides a comfortable space where Graduate students can meet, socialise, and work. The rooms are well-equipped and provide a number of newspapers, magazines, games, and books, as well as computing facilities, a piano, and a small kitchen. In addition, the MCR elects an Executive Committee which is responsible for representing the student body, looking after students’ welfare needs, and organising the social side of life at College. In addition to a fun-filled Freshers’ Week, they also offer BOPs (parties), wine and cheese evenings, exchange dinners with other colleges, and a weekly serving of tea, cakes, and other edible delights. Exeter College’s MCR is well known as one of the most active and welcoming in Oxford, and it is not uncommon for graduate students from other colleges to enquire whether they may be allowed membership as honorary members. The MCR arranges a variety of events including opportunities to share and discuss research and social events. In addition to activities run by the MCR, the College also offers a number of graduate-only dinners throughout the year, including a dinner for new students during Freshers’ Week and two High Table dinners to celebrate the achievements of Graduate students. The whole College comes together for a number of other activities, such as the Rector’s Seminar series, in which prominent speakers give talks on a variety of topics, or college celebrations. These range from dinners to mark America’s Thanksgiving Day to Diwali events and a Burns’ Night Supper. To find out more, please visit the MCR website.